Cucumber : There are wide verities of cucumbers exist but most popular is salad cucumber and lemon cucumber. Lemon cucumber also called as sambar cucumber in South India. 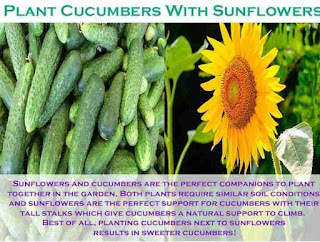 Climate: Cucumber love light warm moist (16 C to 32 C). At 25 C Cucumber plant thrives well. Don't love cool or very low temperatures.Requires warm climate and humidity to grow rigorously. Soil: Loves well drained soils like sandy loam soils with high percentage of organic matter. Give high yields in soils which have pH 6 to 7.1( slight acidic to near neutral is best 7 pH).Can adopt in wide range of soils and tolerate moderate levels of acidic soil when provided with good drainage facility. Seed: Approx 1 kg per acre seed required. 4000-6000 plants required per acre.Select virus free and disease free seeds from farmer. Approx seed germination time is 3 days. Duration: 90 days. From 30 days flowers will start approx from 40 days harvest will start. Spacing: If your soil contains more percentage of sand dig 30 cm pits(length * width * height) for every 1.5 feet(pit to pit). 4.5 feet distance need to maintain Row to Row. Mix soil with compost/fym and fill the pits. If clay soil is more. start preparing raised bed or mounds/hills. ‌Field Preparation: Cucumber need more organic content in soil. Grow green manure before the crop. Traditional practice is filling all pits with 8 tons of FYM or 5 tons of compost with 500 kg of Neem cake along with top soil. 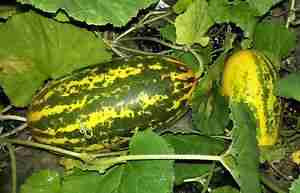 Cucumber can be grown on ground without trellis but cucumber loves to climb. So, it need trellis with height of 6 feet approx. 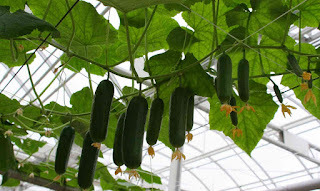 2-3 times more productivity can be achieved when trained Cucumber plant on trellis. Sow 2 -3 seeds in every pit/hill/mound. And thin to remain 2plants per pit or hill. Propagate saplings 1 per pit/hill can be directly transplanted. Irrigation: initial irrigation before sowing. Irrigation was required every week . Especially before flowering. Maintain specific time everyday at-least irrigating deep 20cm soil gives best results. Give mulch for soil if climate is too hot outside.These plants don't like over irrigation.Over watering, stagnation leads several viral/fungal diseases. Inter-crops: Beans for fixing nitrogen, Sorghum and Corn to prevent root rot by controlling soil nematodes, Radish deters leaf eating insects, fruit borers, Marigold, sunflower attract pollinators and deters bugs and beetles. Harvest : Tender fruits are harvested for eating purpose. Matured fruits are left like that for seeds. Average yield of 7-10 tons of harvest per acre. * Bacterial/viral infections occur due to water stagnation, over moist conditions and no proper circulation of air. *Four kg of Neem seeds are powdered and dissolved in 100 litres of water and filtered. Add 10 litres of cow urine and mix it with 50 gm of soapnut powder. Spraying this extract every 15days will control many pests and diseases. *Install light traps one for every half acre from 6-10 pm to overcome moths laying eggs and remove traps before cucumber flowers start to appear. *Spray diluted Neem oil for Aphids & Mealybugs. Cultivation of Red Gram/Black Gram/Green Gram.